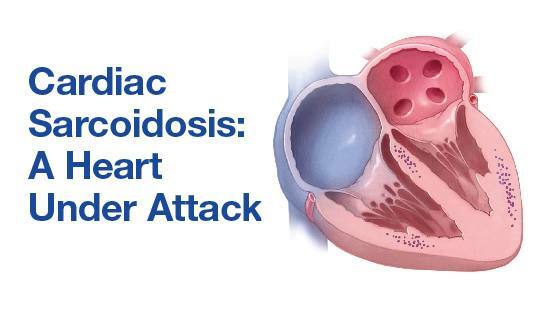 Though rare, cardiac sarcoidosis is a condition that can wreak havoc on the heart. It can be triggered by environmental or infectious agents and is characterized by an overactive immune response, involving clusters of white blood cells that aggregate in heart tissue. Those clusters can result in the need for a pacemaker, and may even lead to heart failure. But because it affects fewer than 10 out of every 100,000 people in North America and can have non-specific symptoms, cardiac sarcoidosis has been a particularly difficult disease to study. A recent investigation led by Leslie T. Cooper, M.D., chair of cardiovascular medicine on Mayo Clinic’s campus in Florida, took a close look at the frequently used treatments for cardiac sarcoidosis and compared the long term results. Publishing in the European Journal of Heart Failure, the study involved collaborators at the University of Calgary and compared the effectiveness of the steroid prednisone, immunosuppressive agents other than prednisone, or no immunosuppressive treatment at all during the first months following diagnosis. Conducting one of the largest reviews of patient cases to date—a total of 91 patients—the team found none of the treatments provided greater long-term survival or prevention of heart failure. Such studies are underway at Mayo Clinic, which has established a cardiac sarcoidosis database to collect information about the disease. A research team in Rochester is developing new techniques to improve the diagnosis of cardiac sarcoidosis, including an innovative heart biopsy that can be added to magnetic resonance imaging (MRI). What’s more, the new Mayo Clinic Cardiac Sarcoidosis Clinic for patients has been established in Rochester. Significantly, the study led by Dr. Cooper found that a small cohort of patients who had no symptoms, other than clusters in the heart, went on to develop heart failure in later years. “Our study suggests the importance of long-term follow up with patients to monitor them for future events,” he says. The international research team studying cardiac sarcoidosis included: Lynn A. Fussner, M.D. ; David O. Hodge; Sanjay Kalra, M.D. ; Eva M. Carmona, M.D., Ph.D.; and James P. Utz, M.D. ; of Mayo Clinic; as well as Erin Karlstedt, M.D. ; Nowell M. Fine, M.D. ; and Debra L. Isaac, M.D. ; of the University of Calgary. The study was funded by Mayo Clinic’s Department of Cardiovascular Medicine.